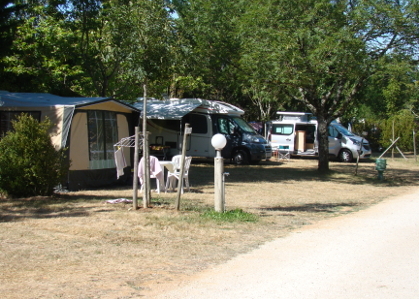 "Les Graves" Campsite in St Pierre Lafeuille, located on the hills above Cahors, a town renowned for its Valentré Bridge, is an ideal holiday destination. 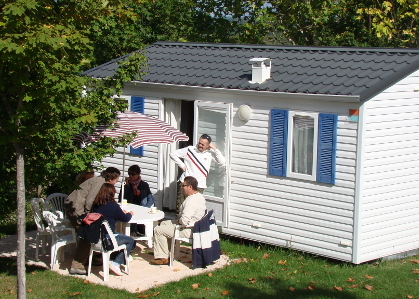 "Les Graves" Campsite, bordered by spectacular walnut trees, offers a getaway in the heart of the Lot with shady, grassy pitches and rentals. 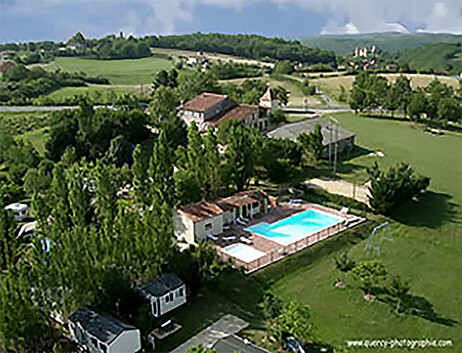 Relax and take full advantage of the swimming pool whilst admiring the view of the stunning countryside. A campsite in a natural setting. 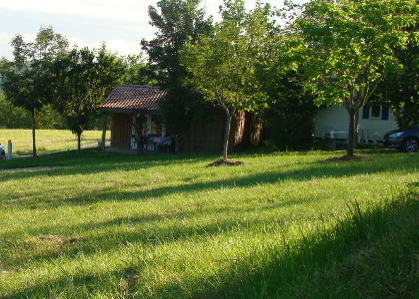 The campsite is located on former farmland. We have preserved the ‘natural’ appearance of the site. In the evening, you can enjoy beautiful sunsets and breathtaking views of the surrounding countryside from the panoramic viewpoint. Our day-to-day management adheres to a sustainable development approach. 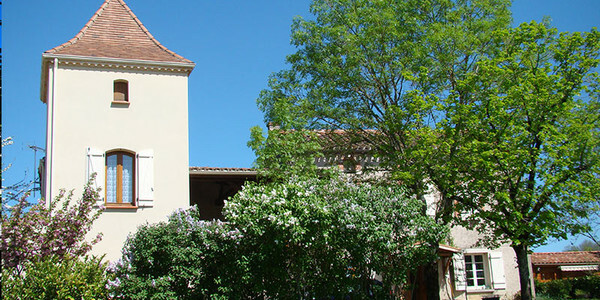 A region that boasts a variety of delicacies. The Lot is a veritable feast for the taste buds, offering products straight from the farm that can be found both at markets and in restaurants, where their flavours are really brought out. A real treat for young and old alike! 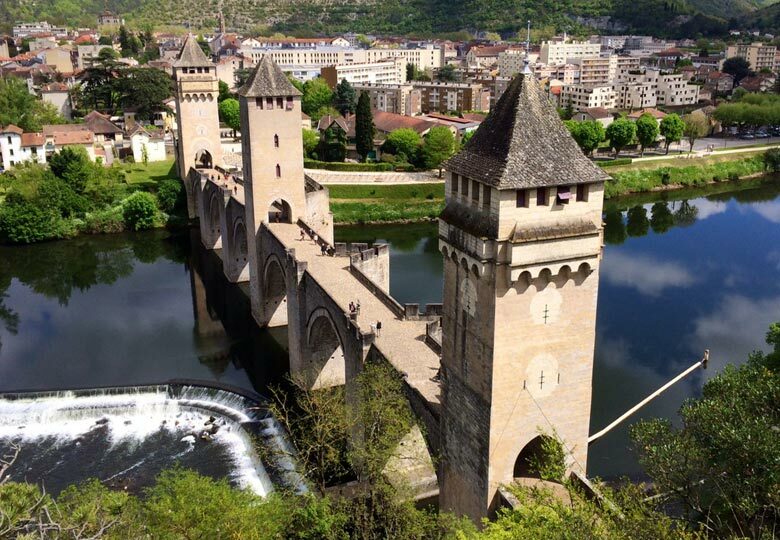 Truffles, saffron, lamb, walnuts, wine, melons…a fine selection to discover and remarkable sites for foodies to visit and savour local specialities: Lalbenque, Cajarc and Martel! In our snack bar open during peak season, you can discover our simply-prepared local produce and its delicious flavours. On Thursday evenings, we prepare a meal using this traditional produce, and the atmosphere is relaxed and friendly. Culinary specialities, a rich, fertile soil and an ideal climate: Cahors wine and refined dishes with a twist from our chefs!